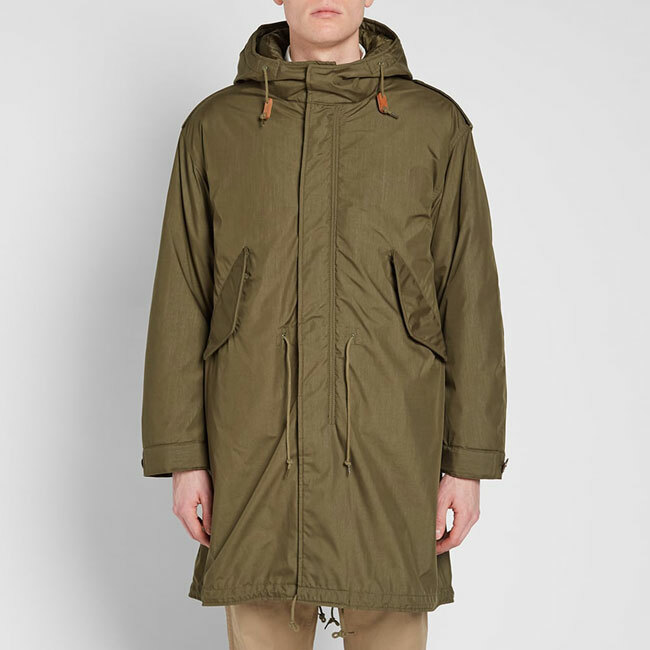 There is now an extra 15 per cent off sale prices at End and plenty still to go at, including this Beams Plus M51 Down Parka. 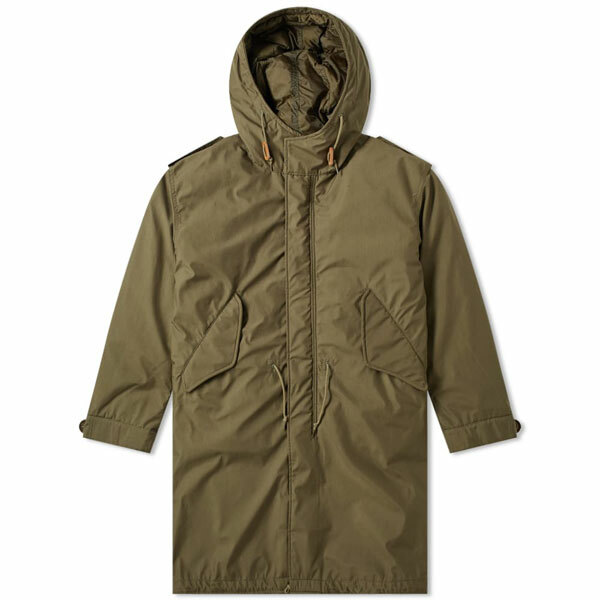 I featured it in black a while back, but the sale version is the (preferable) olive version. It was at a hefty price and still isn’t cheap at the sale price. But it is much discounted. As I said before, I’ve got a couple of Beams Plus coats in this style and they are really strong performers at this time of the year. They keep the elements out and they stay looking good year on year. In fact, as the designs are based on ‘classics’, they really do keep going for years too. 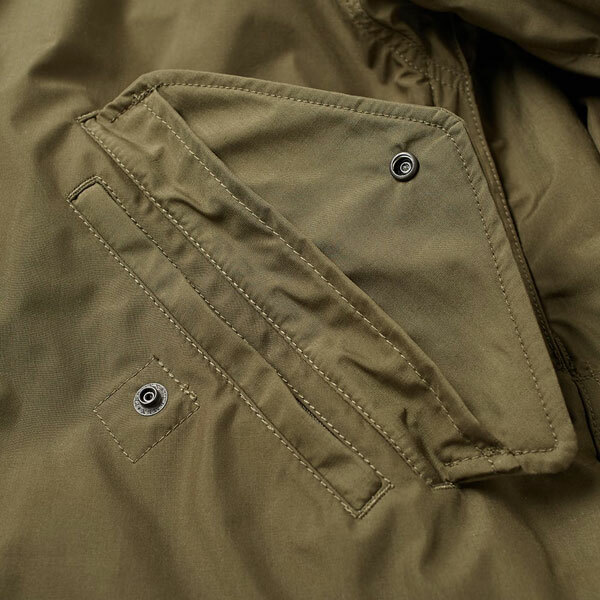 This is a timeless design. 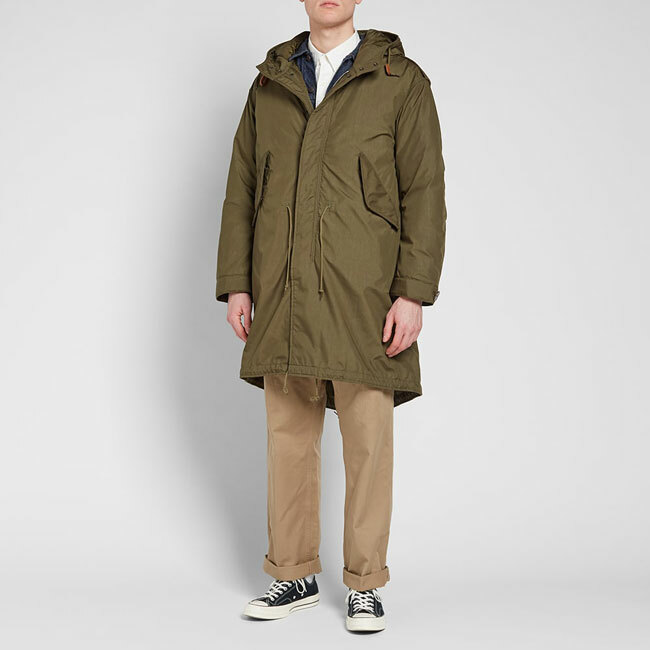 Based on the classic military parka, it has an adjustable fit thanks to drawstrings at its hood, waist and hem. 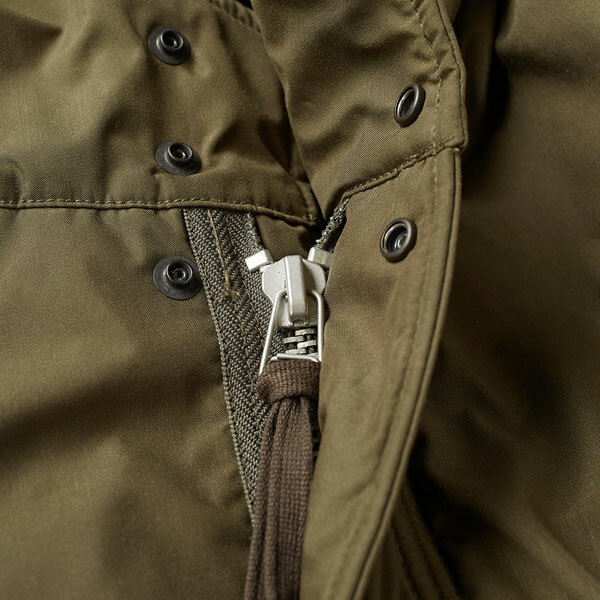 The coat also has a pair of angled flap pockets at the front, up fastening, epaulette detailing at each shoulder, a press studded fish tail hemline and a down filling to keep you warm. This sold for £575 not long ago but is down to £375 in the sale. If you knock off the extra 15 per cent, you can take just over £55 off the price as well. Free shipping too. 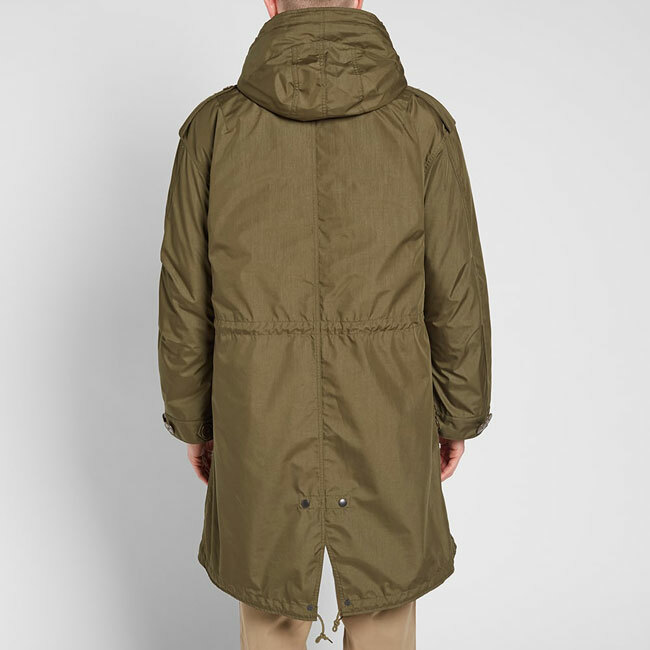 Note that the rest of the sale has the extra 15 per cent off too, you can browse all of it here.